Multitasking is an inevitable part of work for most employees now, with e-mail, phone, text, coworkers, and computer applications all vying for attention. There are only a few professions—such as drivers and operators of dangerous machinery—that are among the exceptions. That exceptions are made for them, however, constitutes an acknowledgement that human beings simply do not multitask very well. Laws against texting and driving exist for this reason. These laws are supported by empirical evidence that goes beyond accident reports. Multitasking can be studied in a laboratory. For example, imaging machines can track which areas of the brain are activated according to the task being performed. When you switch from a phone call to analyzing a spreadsheet, you really are using different parts of your brain, and it can take a while to adjust. With such tools as brain scans and screens that measure response times and accuracy, scientists have uncovered some facts about multitasking. For example, while people are generally bad at it, about 2.5 percent multitask effectively. One study shows that women tend to be better at it than men, and another shows that young people tend to do better than old. For all, however, multitasking is stressful, which leads to errors. Fortunately for employees and managers, there are some techniques that can help people multitask better. These techniques are worth practicing, because they can repair the wear and tear that multitasking puts on the brain. 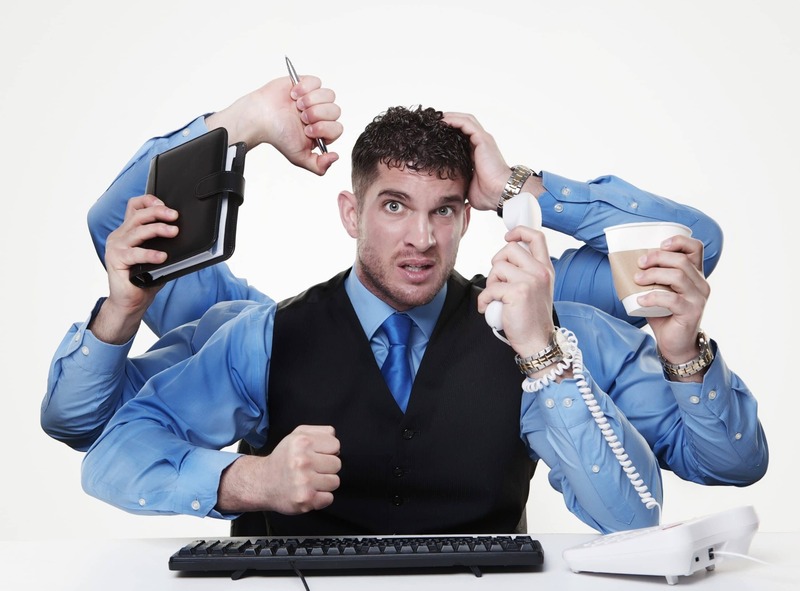 Forbes summarizes what some studies have found about multitasking. One study conducted at Stanford argues strongly in favor of doing one thing at a time. The study tested two groups: “heavy and light media multitaskers.” It turned out that “those heavy media multitaskers are paying a big mental price.” Rather than gain the ability to juggle mental processes, the multitaskers “did a lousy job at remembering when a letter was making a repeat appearance” in a test. In a second test that switched between letters and numbers, “the heavy multitaskers underperformed the light multitaskers.” Forbes also cites another study claiming that multitasking is as hard on the brain as a sleepless night, lowering the IQ of those who try to do too many things at once. Another generalization that has some support from scientific study is that as one ages, multitasking gets harder. As WebMD summarizes this phenomenon: “multitasking causes a bigger working memory disruption in older adults because of…inability to switch between tasks efficiently.” Whatever one’s innate ability, however, multitasking is hard on the brain. This holds true even for professionals. For example, a test of doctors found that their accuracy at two common tasks–“relationship” tasks such as interacting with patients and “data-driven” tasks such as using computers or diagnostic equipment–decreased when the tasks had to be completed at the same time. If doctors can’t multitask any better than lay people, it’s wise to reconsider the cultural value we place on the few, mostly fictional, superheroes who can carry on an intelligent conversation on the phone with one person while typing up a perfect e-mail to another. Few if any people, it turns out, can perform as well as a character in an Aaron Sorkin drama for more than a few minutes a day. As another study from the Hellenic Open University argues: “Nowadays, the practice of multitasking is considered by many as a title of honor,” but that it is a “myth…that the human multitasking increases the productivity and effectiveness of people.” The study also claims that there is “a culture among employers that a good employee can perform effectively” while multitasking. And it is true that for many employees, there is little choice about multitasking. Phones must be answered, e-mail and texts replied to, and reports prepared. While a great cultural shift may too big of an order for managers and employees, there are steps that can be taken to handle multitasking more effectively. There are two basic approaches to dealing with the stress of multitasking. One key approach is: Don’t multitask. Instead, make monotasking a brain-saving goal. For example, instead of rapidly switching back and forth between one task and another, it can be beneficial to consciously set aside a little more time to performing only one task while letting others go. According to Inc.com, which cites the author of the Stanford study, twenty minutes is a goal to aim for when monotasking. Another tip is to limit the number of simultaneous tasks to two. The brain, it turns out, can handle two tasks at once fairly well, but quickly gets error-prone when more tasks are taken on. The Stanford study’s author also has a tip for managers: allow employees time to not respond to e-mail, so that they may concentrate on other tasks. There may even be blackout periods. Finally, one study offers some hope. It turns out that training can help with multitasking. Specifically, if one is trained on given tasks, they become easier to perform while multitasking. For managers, this could be a good reason to argue for some training time to make sure employees know who to perform key tasks without too much thought. For employees looking to train themselves on how to multitask more effectively, some additional tips may be added to those listed above. One is the ever-useful to-do list. Making a list and prioritizing it eliminates one task–deciding what to do. The to-do list can also have time measures, so that steady periods of monotasking can be worked into one’s schedule. Another technique is to group similar tasks together. Performing very different tasks requires the brain to use different regions simultaneously, but similar tasks–whatever they may be–put less demand on the brain. A third tip is to eliminate distractions. Although softly playing radios, busy phone screens, or chatting coworkers may not seem to add to the brain’s tasks, they do. To the extent possible, eliminating such seemingly innocent distractions can help you multitask better. Finally, take breaks. While a busy day may not allow for long breaks, meditation, or even simply closing one’s eyes and taking a few deep breaths before shifting from one task to another can be helpful. The strain on the brain that comes from doing more than one thing at once is real. Employers and employees alike can also benefit from acknowledging that the cultural ideal of the competent multitasker is largely a myth. Humans are better at doing one thing a time and tend to get more done that way. While this may not always be possible at work, fortunately there are some simple techniques to help the brain handle multitasking better.